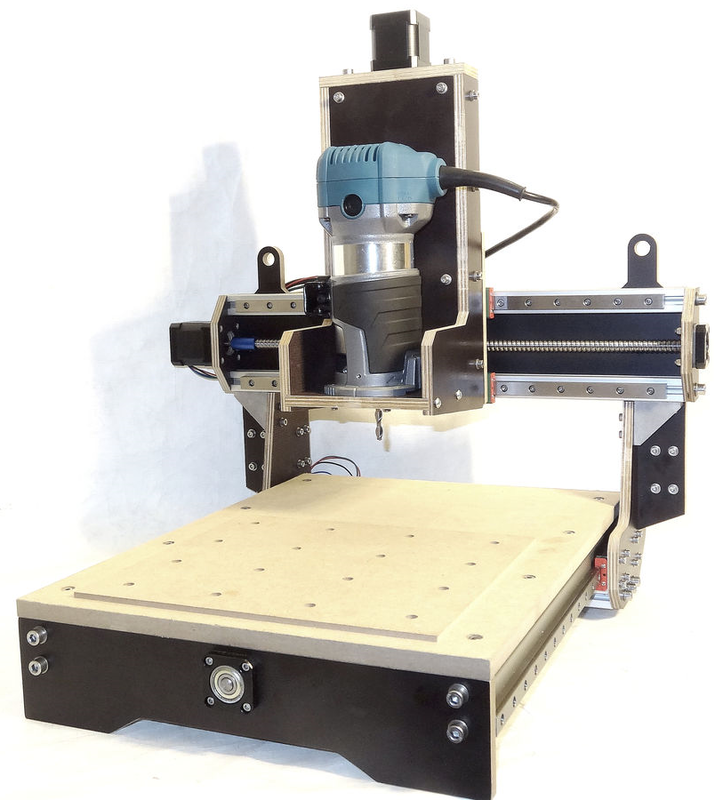 20-year-old ‘Vulcaman’ recently made his own CNC mill, and he did it for €500 (about $565 USD). Vulcaman is German and has a pretty extensive catalog on Instructables. He is also studying to become an electrical engineer. Much respect (the author is an EE). EEs unite! Then we form into a single giant EE. Wait a minute! Vulcaman is still a student. He would have to be one of the feet of the giant EE… and not the bahonkus kicking foot either. It would have to be the foot that stays on the ground while the other one kicks posterior. Anyway, Vulcaman refers to his machine as a mill, but considering its lightweight construction, it may fall under the classification of desktop router. Designed in Fusion 360, the mill is constructed with plywood, 80/20 style aluminum extrusions, and cheap motion components. Vulcaman states that the accuracy of each axis is 0.1mm (0.0395”), all three of which are actuated by 12mm ball screws and slide on linear rails. The machine has a work envelope of 250x220mm, and the carriage is capable of moving at 3000mm (118 inches) per minute. The cutting head, AKA the business end of the machine, is actually a 710-watt electric router. The machine is controlled with an Arduino Uno. 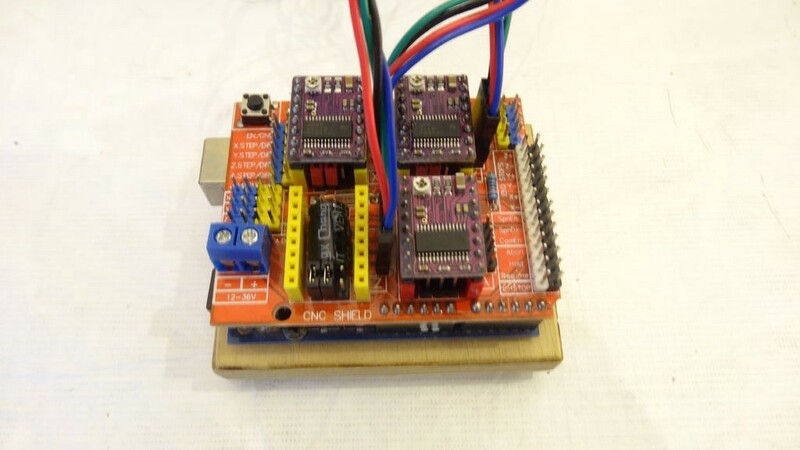 A CNC shield interfaces the Uno to some DRV8825 stepper motor drivers and an unspecified power supply provides 12VDC to the motors and electronics. The Uno is loaded with GRBL, which is an Arduino specific, G-code interpretation and motion control software. Vulcaman suggests using Fusion 360’s built-in CAM module to create tool paths for the machine and then using computer-based software like “bcnc” or “Universal-Gcode-Sender” to upload it to the Arduino. A somewhat more streamlined alternative to the previous method is to use Estlcam Software. Estlcam will create G-code from DXF files, and it will let you manually control the machine. A handy feature when you need to “jog” the cutting head into position or just move it out of the way. In his write-up, you’ll find detailed instructions on assembling the machine and a bill-of-materials that lists what parts were used and where to get them. I give Vulcaman a lot of credit. Using primarily off-the-shelf components, he made what appears to be a very functional tool and not only does he show you how he did it, he sells the milled wooden parts as a kit so you can build your own! Those are available at Vulcaman’s online shop. Even if you can’t afford the price tag as a whole, you could slowly purchase parts for the project until you have everything you need. Maybe even finding bargain parts at an auction site to further lower the cost. Also, the design lends itself to modification. For example, should you decide to use a high-speed spindle motor rather than a router for the cutting head, that shouldn’t present much of a challenge to a dedicated maker. The one feature of the machine that may benefit from an upgrade are the NEMA 17 stepper motors. NEMA 23’s may be preferable to prevent the loss of steps during heavier cuts and backdriving from the ball screws. 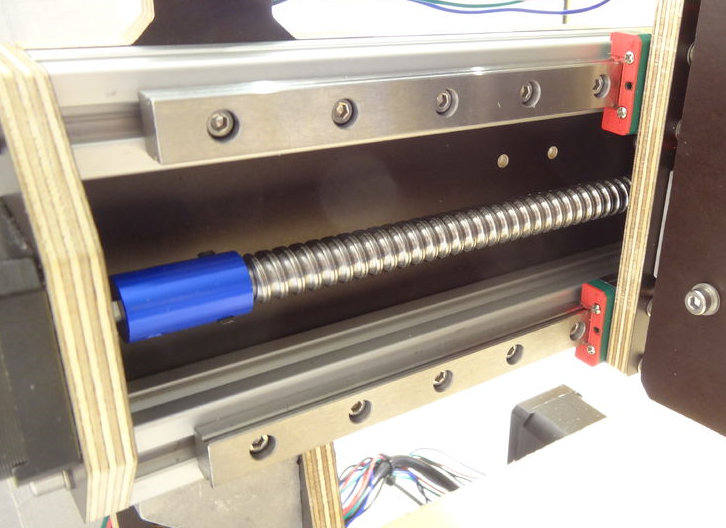 German EE Student Makes Low-Cost CNC Mill was originally published in Hackster Blog on Medium, where people are continuing the conversation by highlighting and responding to this story.